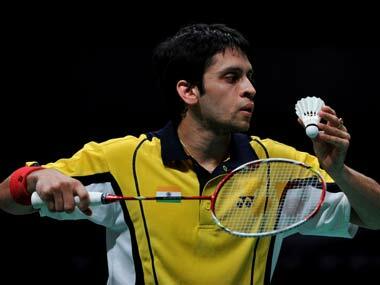 On a comeback trail, Kashyap defeated Zhou 21-11 13-21 21-8 in a match that lasted 45 minutes. Kashyap will next take on local shuttler and sixth seed, Jeon Hyeok Jin. 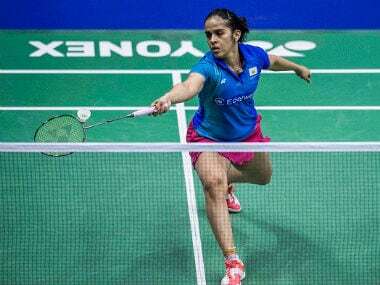 Former World No 1 Saina bounced back from a game down to see off Ayustine 17-21 21-18 21-12 in a match which lasted over an hour. Kashyap, who recovered from multiple injuries and then took a break after the Denmark Open to work on his fitness and game, defeated Chinese Taipei's Chun-Wei Chen. 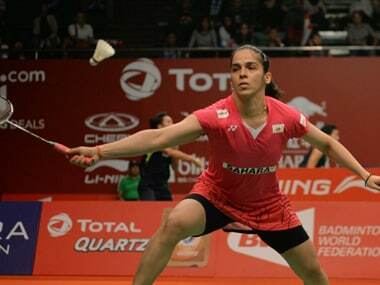 Saina Nehwal will lead India's charge in the Macau Open Grand Prix Gold after three-time champion P V Sindhu pulled out of the event to prepare herself for the Dubai Super Series Finals. P V Sindhu will look to continue her rampaging run when she starts her title defence at the Macau Open Grand Prix Gold badminton tournament which begins on Tuesday. Paraupalli Kashyap advanced to the main draw of the Japan Super Series after registering twin victories in the two rounds of the qualifiers in Tokyo. P Kashyap feels Saina Nehwal is the 'best bet' to win a medal for India and said P V Sindhu, K Srikanth could be the 'dark horses' at Rio Olympics. Saina lost two places to sink to World No 8 in women's singles after losing in the semifinals of India Open, while Srikanth dropped four spots to be placed at the 14th spot in men's singles.